November 25, 2010. 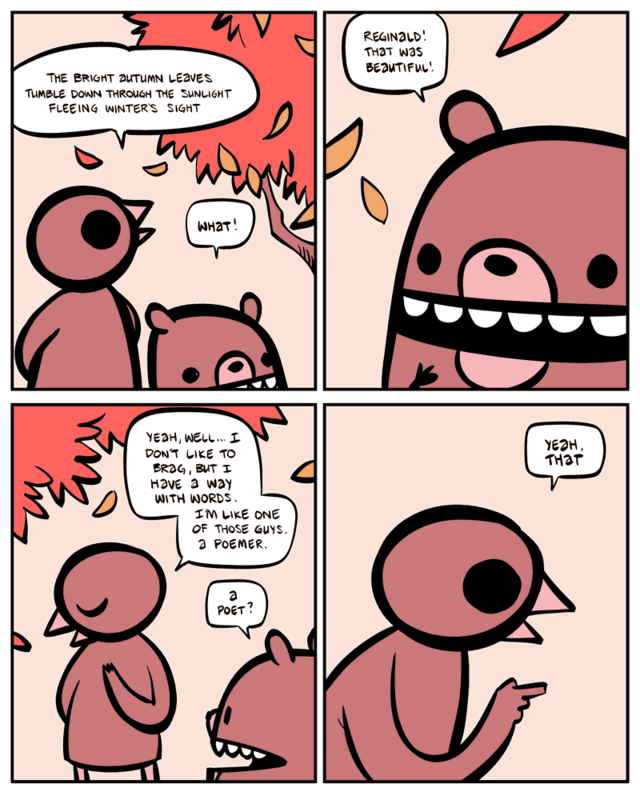 Tags: Animals, Beartato, Competition, Food, Friendship, Funny, Humor, Jokes, Nedroid, Reginald, Thanksgiving, Tricks. 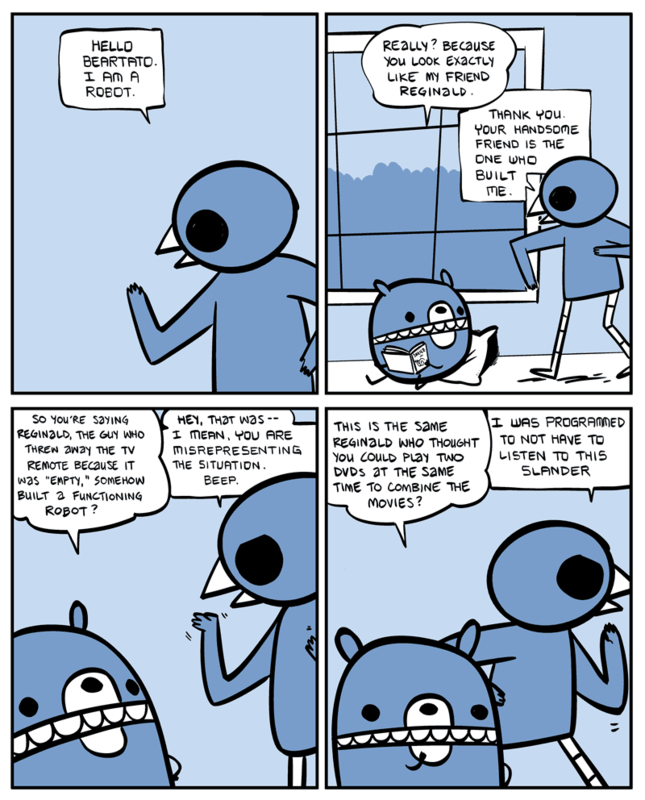 Comics. Leave a comment. 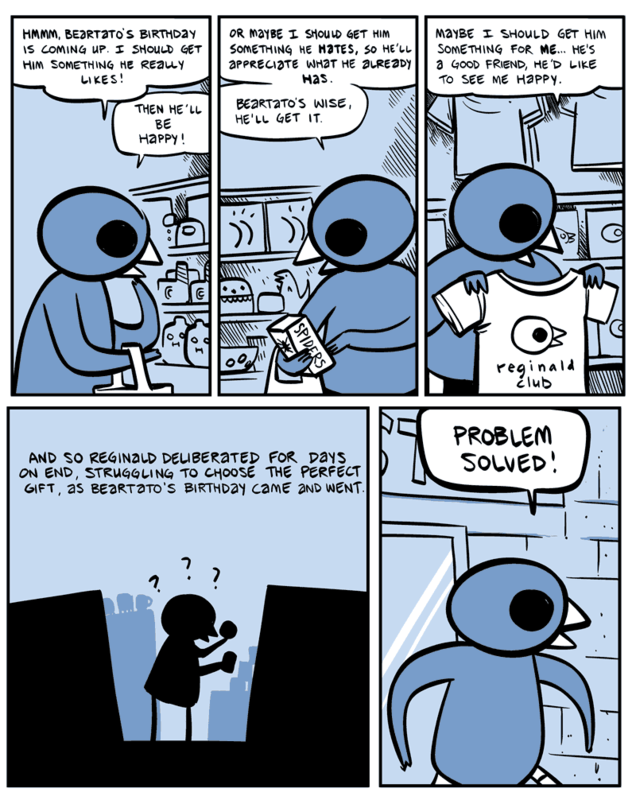 Yes, today is indeed my birthday. 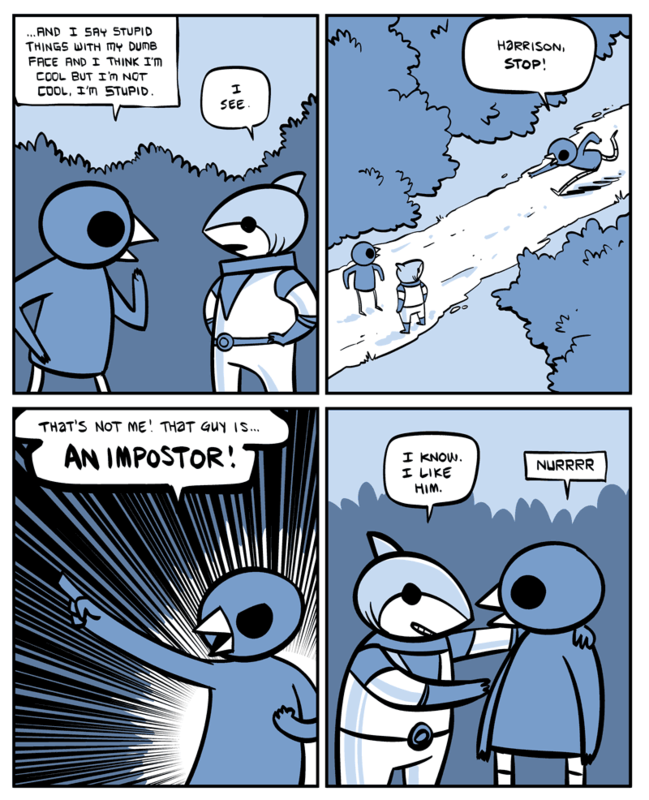 Please don’t get me spiders. I have plenty in storage already. 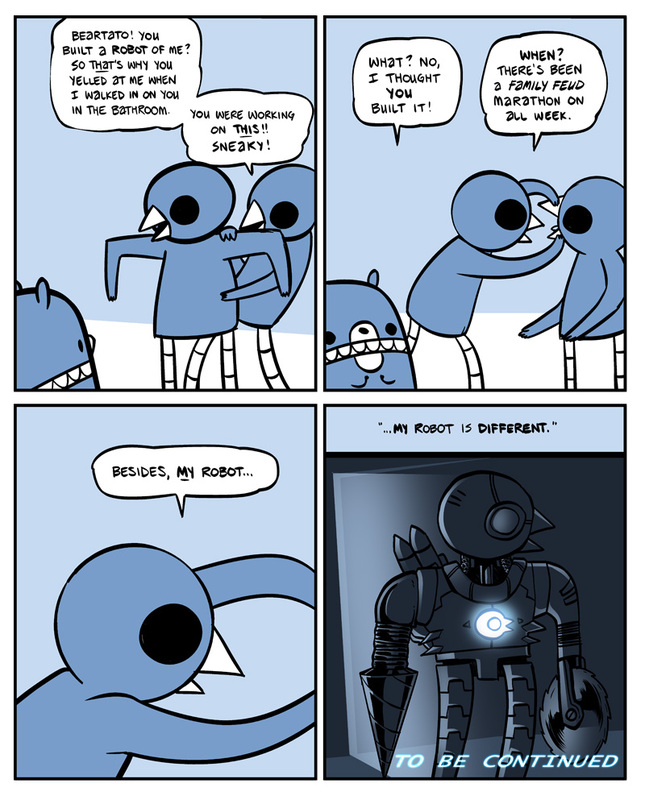 November 12, 2010. 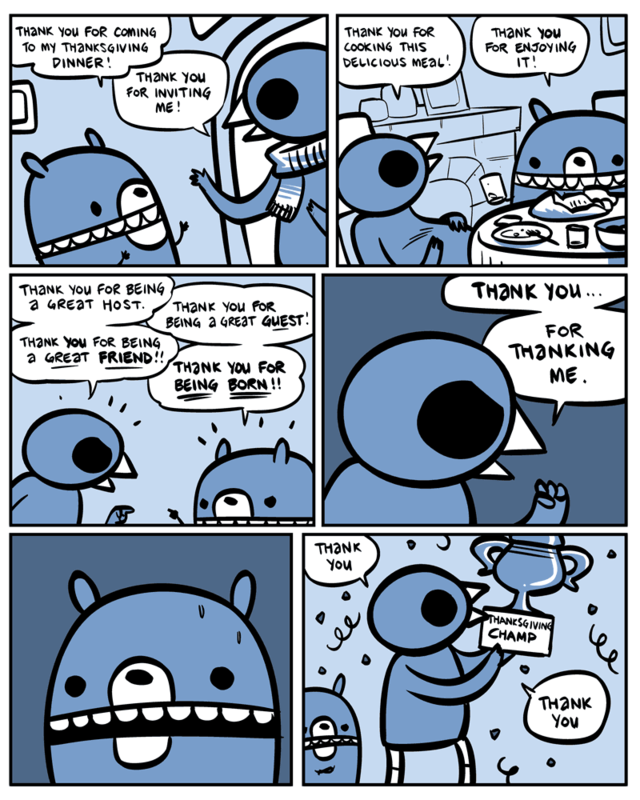 Tags: Animals, Art, Beartato, Birthdays, Funny, Humor, Nedroid, Reginald, Scary, Spiders, Wisdom. 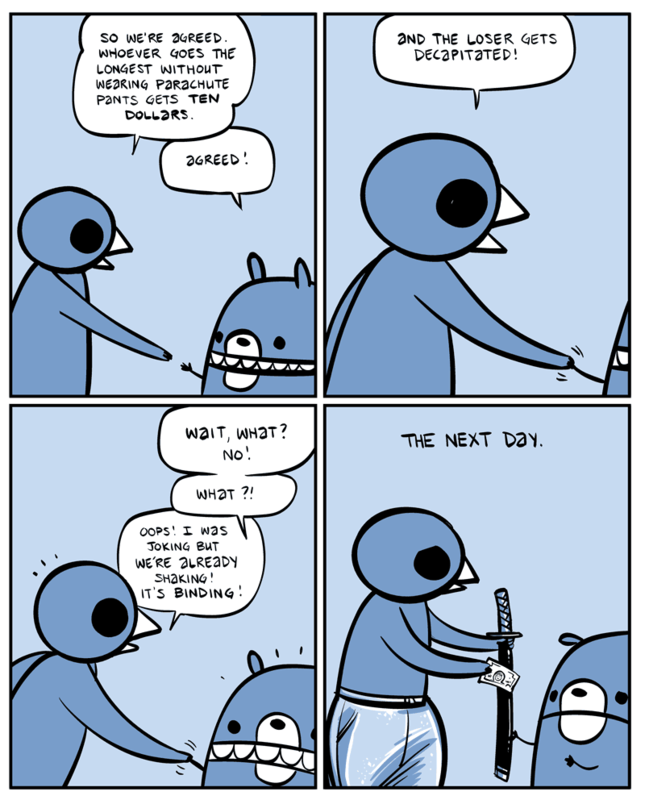 Comics. Leave a comment. November 12, 2010. 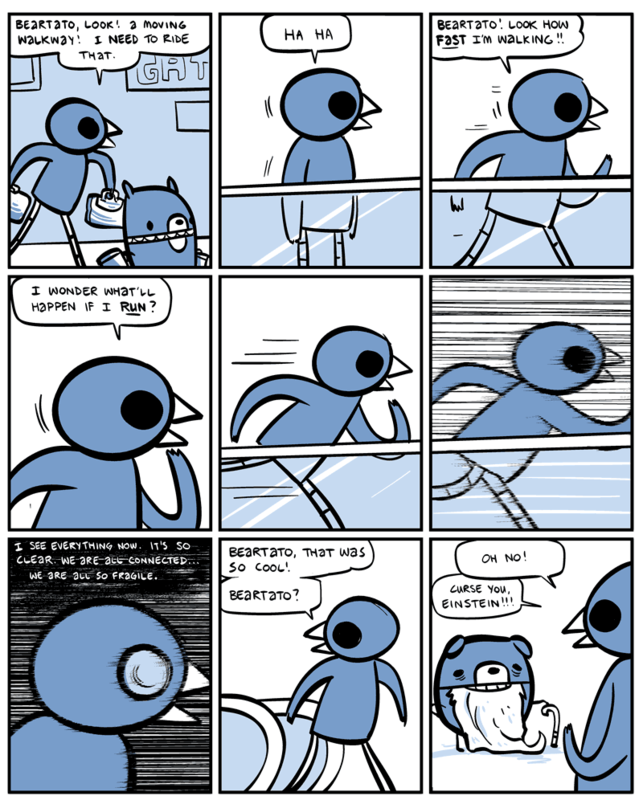 Tags: Airports, Animals, Art, Beartato, Canes, Einstein, Funny, How Stuff Works, Humor, Jokes, Nedroid, Reginald, Relativity, Scary, Science, Technology, Time Travel. 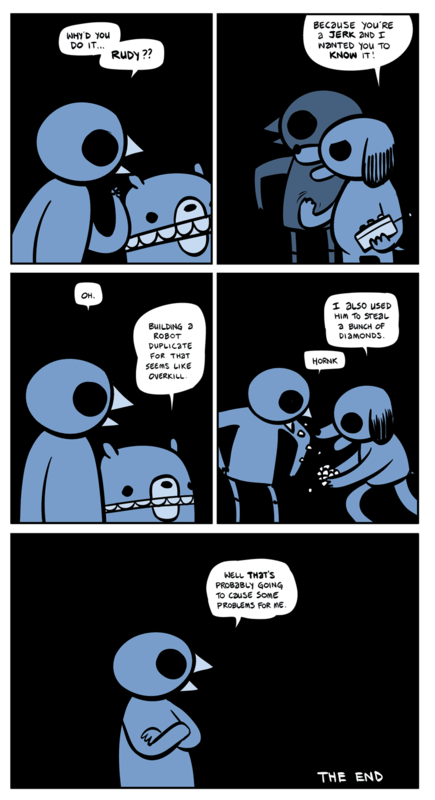 Comics. Leave a comment. October 9, 2010. 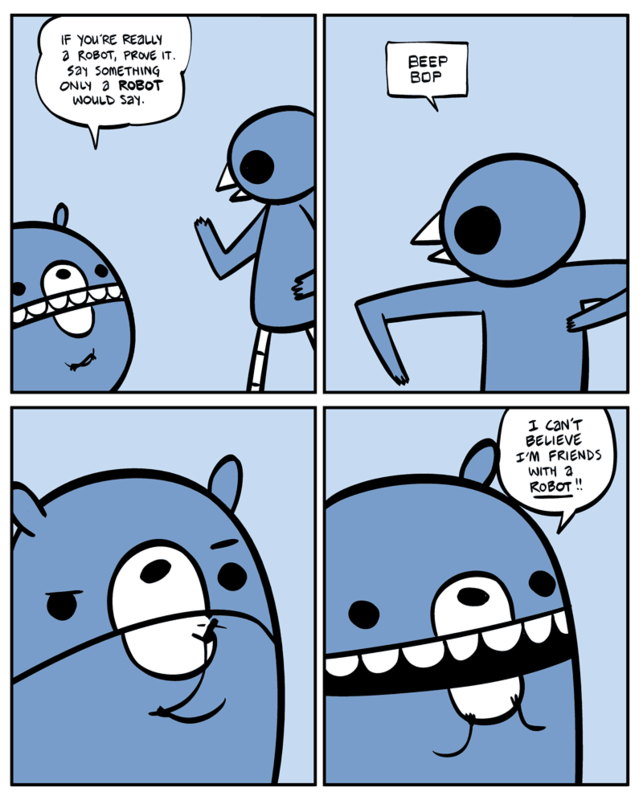 Tags: Animals, Beartato, Funny, Humor, Jokes, Nedroid, Programming, Reginald, Robots. 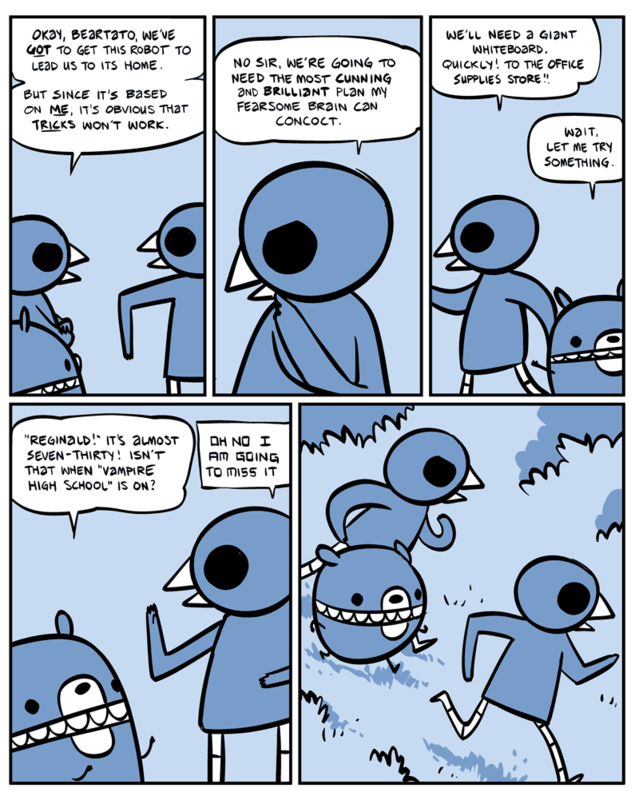 Comics. 1 comment. October 4, 2010. 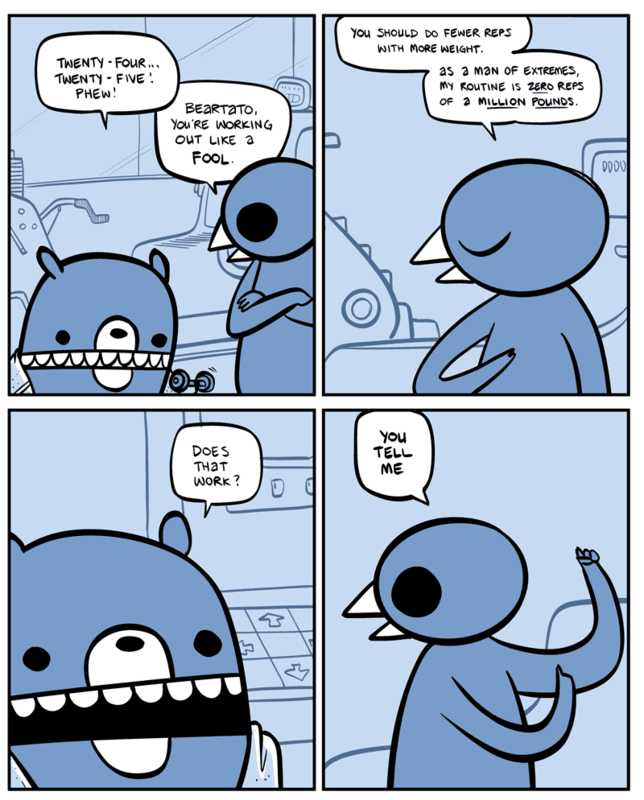 Tags: Animals, Art, Beartato, Funny, How Stuff Works, Humor, Jokes, Morality, Nedroid, Reginald. 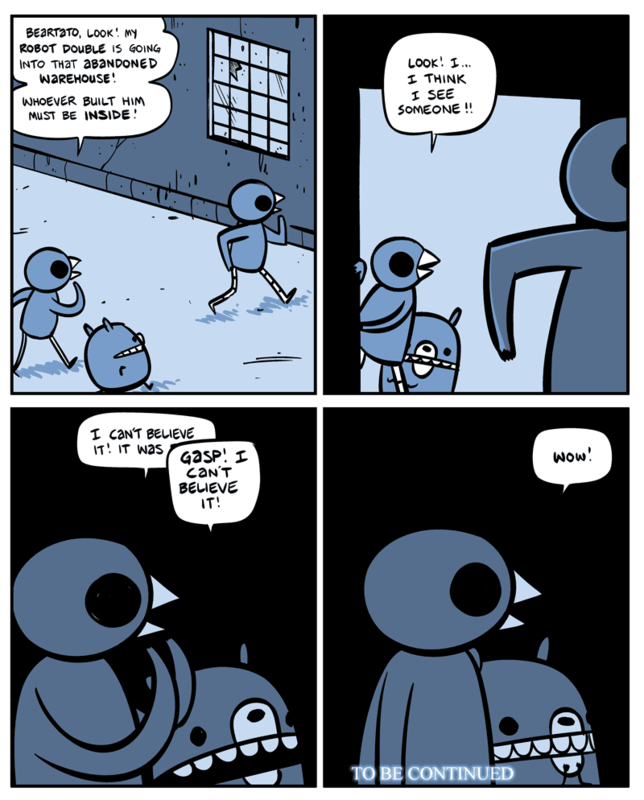 Comics. Leave a comment. August 23, 2010. 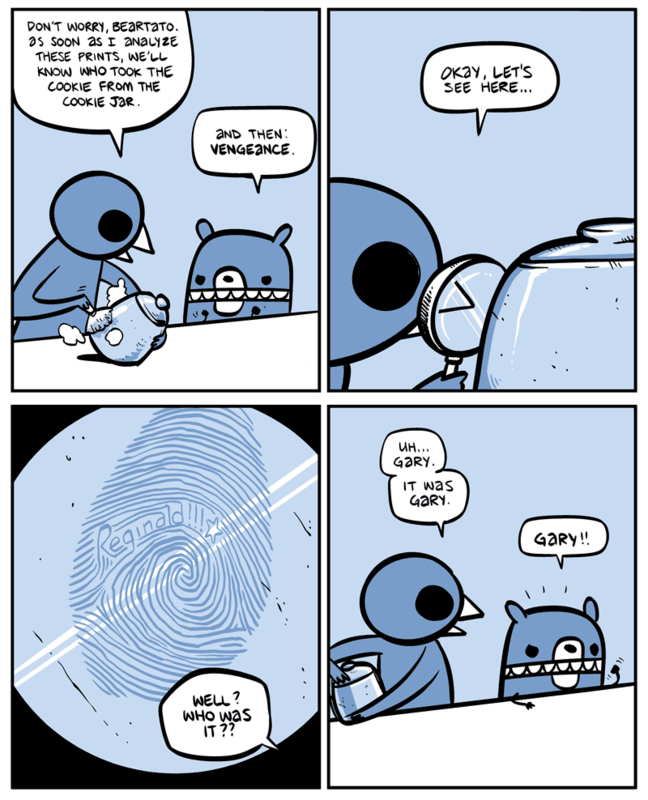 Tags: Beartato, Forensics, Funny, Humor, Nedroid, Reginald. 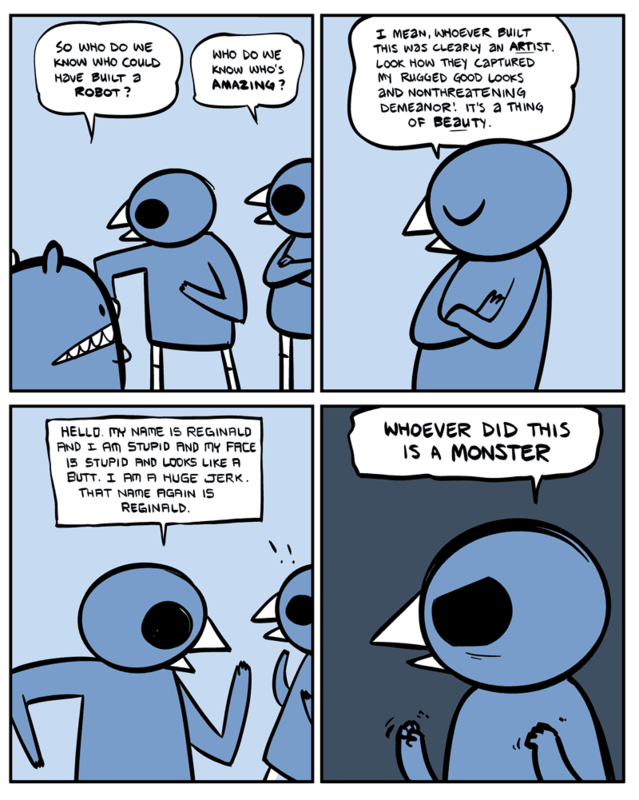 Comics. Leave a comment.